USDA Deputy Secretary Steve Censky will be a keynote speaker on the final day of the 24th annual National Ethanol Conference to be held Feb. 11-13 in Orlando. 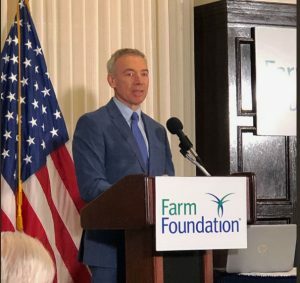 Earlier this week, Censky spoke at a Farm Foundation Forum about implementing the 2018 farm bill now that the federal government is back at work. Censky said USDA is using a “Fitbit” type of approach to tracking goals. “We have our own ‘FBit’ we call a Farm Bit at USDA and it’s a Farm Bill Implementation tracker,” said Censky.